Dallas — David Goodson, President and CEO of RLG Consulting Engineers, was honored with the Jerry Allen Courage in Leadership Award at Zweig Group’s Annual Hot Firm Conference held in Dallas on Sept. 21, 2018. The Jerry Allen Courage in Leadership Award is given each year to a recipient working in an architecture, engineering, planning or environmental firm who has demonstrated personal courage and impacted their firm in unique and extraordinary ways. For more than 65 years, RLG has been recognized as one of the top engineering firms in Texas for its ability to attract and retain a talented, experienced team. The Dallas-based civil, structural, surveying and forensic engineering firm was founded in 1953 by David’s father, Raymond L. Goodson, Jr. David began working with RLG’s surveying crew while he was in high school. After graduating from Cornell University in 1976 and working in Houston for five years, he returned to the company in 1981 to form the Structural Engineering department at RLG and worked his way up to become CEO of the firm. Under David’s leadership, the firm has maintained a reputation of trust, building the company’s legacy as an industry leader. In 2018, the firm was recognized as a Best Firm to Work For by Zweig Group and a Top Design Firm by Engineering News Record – Texas and Louisiana. 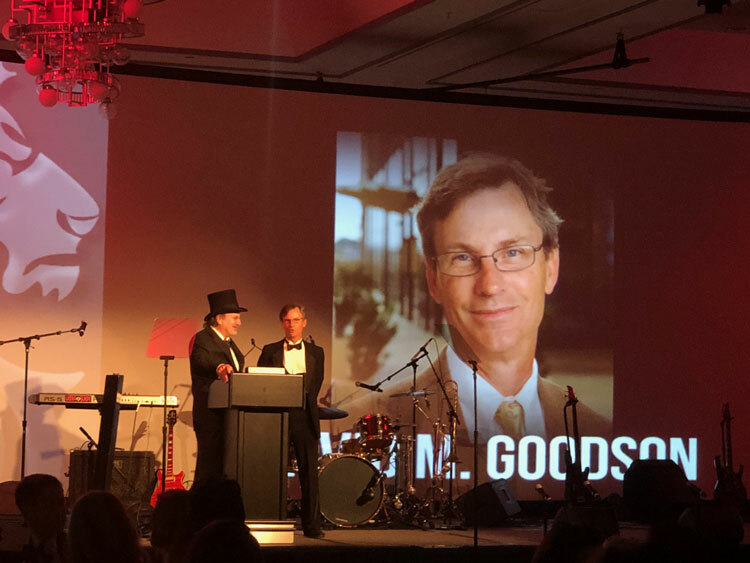 As CEO, Goodson has grown the company’s revenue nearly 60 percent. He has expanded the company’s footprint by opening offices in Fort Worth, Texas, and Peoria, Ill. — adding forensics services for the structural division and hydraulic engineering for the civil division. Since RLG’s inception in 1953, the company has grown to more than 80 employees and serves more than 250 clients annually.